An entry for local wine geeks. Not a 'rose wine' made from the Nebbiolo varietal; but a still, dry, monovarietal red wine made from 'Nebbiolo Rose'. 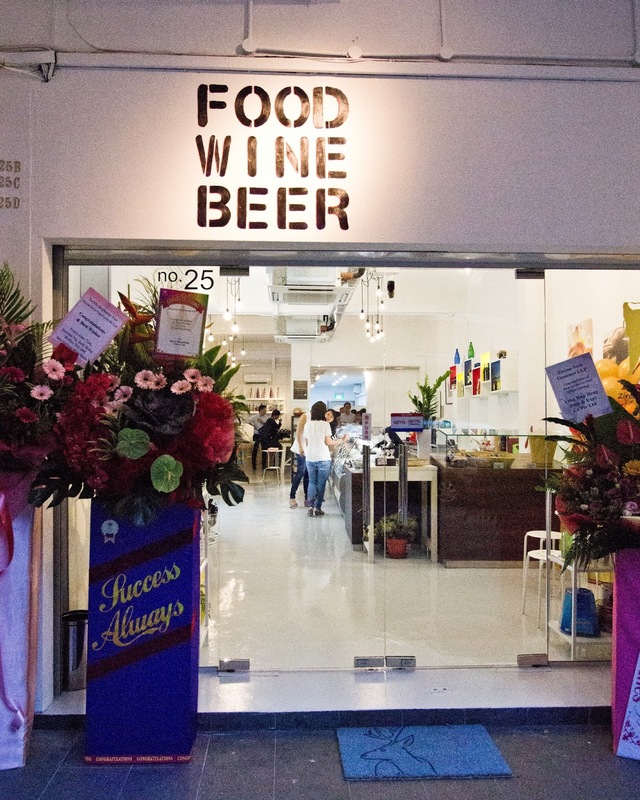 Its not a common fare to find in Singapore (and for that matter, in most parts of the wine drinking world as well). To say its production is limited is actually an understatement. 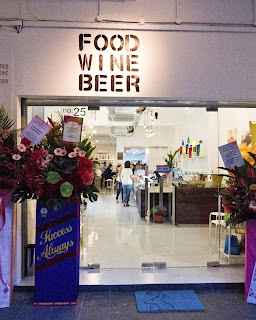 Given the fact that the vines grown in Italy are limited and consequently the grapes at hand for production is limited; and to include the consideration that not many winemakers may be inclined to produce a single varietal wine from Nebbiolo Rose to begin with, it makes me happy to come across one in Singapore. Ian D’Agata mentions in his book that the Nebbiolo Rose varietal is noted for its pale ruby hue, intensely perfumed (rose petal) aroma, austere nature and mineral flavours. It has contributed to Piedmont reds as a blending component (albeit a small percentage) in some of its Nebbiolo based wines. (Source: Native Wine Grapes of Italy; Ian D' Agata). It was interesting therefore to attend the trade tasting by Elvio Cogno Winery which was held later part of last year. This winery is located on top of Bricco Ravera, a hill in the Langhe area of the Piedmont wine region. 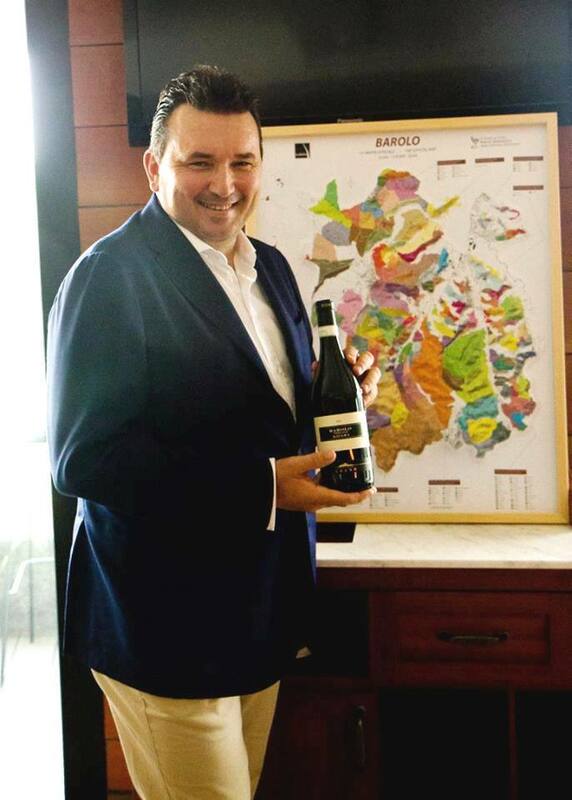 Valter Fissore (owner and winemaker) was in town to introduce several red wines under his portfolio. 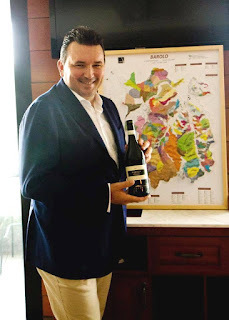 His Nebbiolo based wines like the Barbaresco Bordini DOCG 2011, Barolo Cascina Nuova DOCG 2011 and Barolo Ravera DOCG 2011 used the Lampia and Michet clones either exclusively or as a blend. His Barolo Riserva Vigna Elena DOCG 2009 though is a single varietal wine made from Nebbiolo Rose. 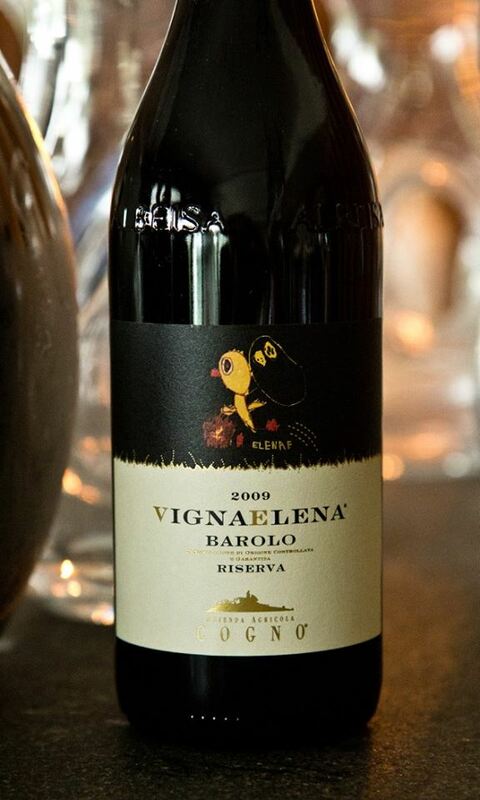 Vines are grown within just an hectare of land in his vineyard and this wine is produced in years when the harvest turns out to be exceptional. Production is limited to an average of 5,000 bottles (if production is decided for a particular year). It’s interesting to note that though DNA profiling has shown this to be a distinct varietal, in practice (at least for now) where labelling is concerned, it is produced under the “Barolo” wine category (at least in this winery). It is heartening to see wine producers taking the time and making the effort to preserve and cultivate lesser known varietals . It may not necessarily translate to better profit , but heritage and preservation should be its own reward for posterity’s sake. If you are keen for more information on this wine, you can contact the local wine merchant, Enoteca Co Ltd at 63371263. More pictures of this trade tasting is at this following link: Elvio Cogno Winery Trade Tasting Album. An innovation to help wine consumers. Wine is a fragile creature. If you wish to age it right, then you need to store it in right conditions. Likewise, if you want the opportunity to enjoy its aromas, flavours and body, then it needs to be served at the right temperature as well. Take a white wine for an example. 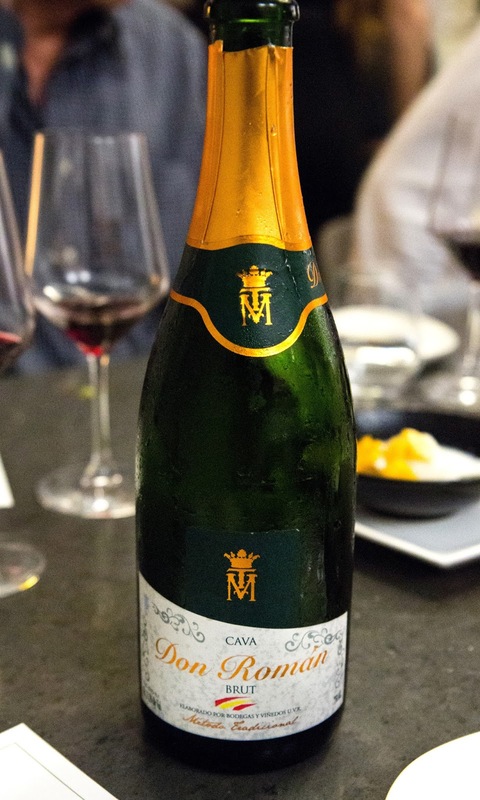 Serve it too cold and the aromas get muted, flavours become unnoticeable, the acidity and structure make their presence felt a little too prominently; the wine loses balance. Now serve the same wine on the warm side; though the aromas and flavours reveal themselves, the body becomes flabby with alcohol showing a little upfront; again the wine loses balance. The wine reveals, but not it a manner you enjoy it. Not many of us carry a wine thermometer in our arsenal when we go drinking with family and friends. Even at most trade tastings, it usually begins with a little guesswork. The sommelier or merchant at hand takes a sip and remarks if the wine is too cold or too warm and takes remedial action (till he feels it is ideal for tasting). 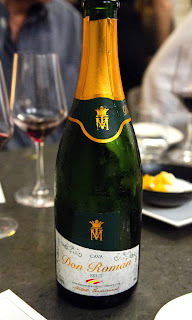 At a recent event I attended, much to my pleasant surprise, I came across a wine bottle which takes away this guesswork with an innovative solution. 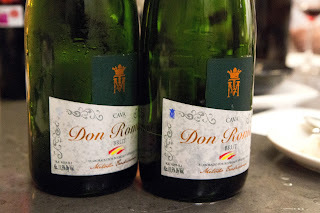 It was a cava; Marques de Tomares Don Roman Brut NV. The bottle on the right shows the blue logo on the upper left hand corner of it's wine label. It has a little temperature sensor on the left, top corner of its wine label. When you chill the wine down to the appropriate serving temperature (in this case between 6C and 8 C), a small blue logo becomes visible. Consumers (both experienced and novice alike) can easily identify this blue logo and recognize that the wine is at an ideal serving temperature. It certainly removes the guesswork and makes life a little easy for the sommelier as well. I’ve heard about these sensors before but it is difficult to see them on wine bottles sold locally here. They are more of an exception rather than the norm (if current industry practice is anything to go by). 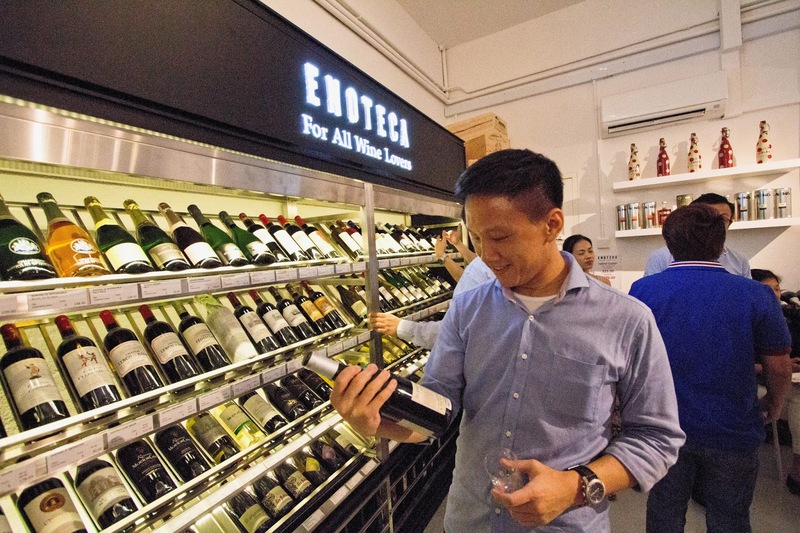 One hopes that more such innovations can be introduced in the near future; it will certainly make wine appreciation a little easier for consumers. 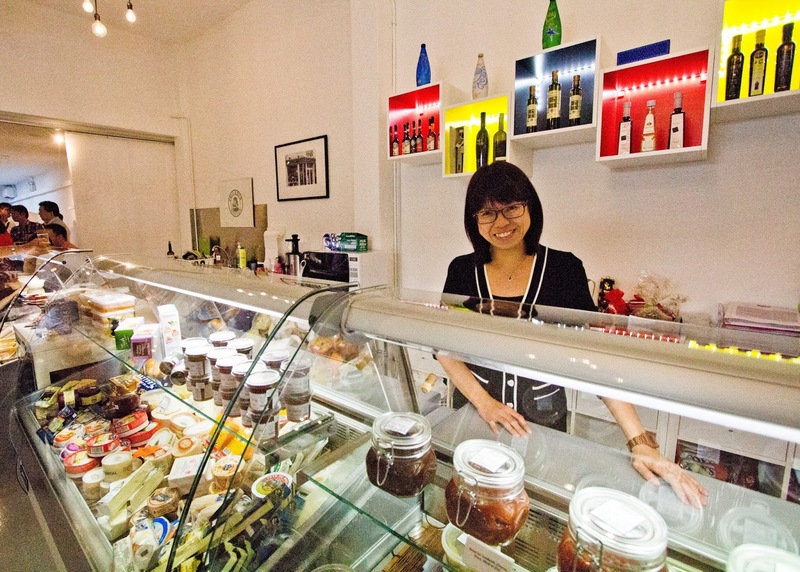 A quick entry on a gourmet food store at 25 Yong Siak Street. Its called Zircon-Swis Gourmet LLP. A new setup, it holds ingredients for you to quickly dish up an easy meal for the evening as well as offer items of culinary appeal for the curious to explore and taste. When you enter the store, you are greeted by ingredients for salad, antipasti from Australia, condiments, dips, oil, an assortment of vinegars and some interesting collection of cheese from France. 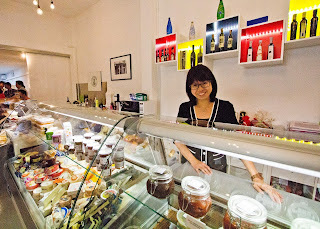 Ms Karen Lam (formerly of Bistro 103) is currently the Retail Operations Manager over here. She will be a great resource to tap on things food, wines and food & wine pairing solutions as well. Wine enthusiasts will be happy to note that deeper within this store, there is a range of both old and new world wines neatly displayed for purchase. A collaboration with Enoteca wine company sees a good spread of wines from it's portfolio represented over here.